Hour just rubbing his testicles…….. I wanted to spend Thursday this week on the river before heading south to the H.Avon next week. I arrived at about 7.30am with the sun just an hour old. I went to the usual places and saw no barbel. I did though spot one fish in an area I had not fished before which was close to a double figure barbel. I put out some hemp and a few pellets and it went down onto the bait immediately. Bingo I thought soon this fish will be mine. After returning with my tackle the fish had vanished not to return. Not a good start! I fished a few other swims and and didn’t have a bite. The river was low and clear and this didn’t help. A met a mate of mine Dave Rogerson who has had a poor tench year, so he thought he would fish for the barbel and chub for the winter. I showed him some of the good swims albeit devoid of barbel. 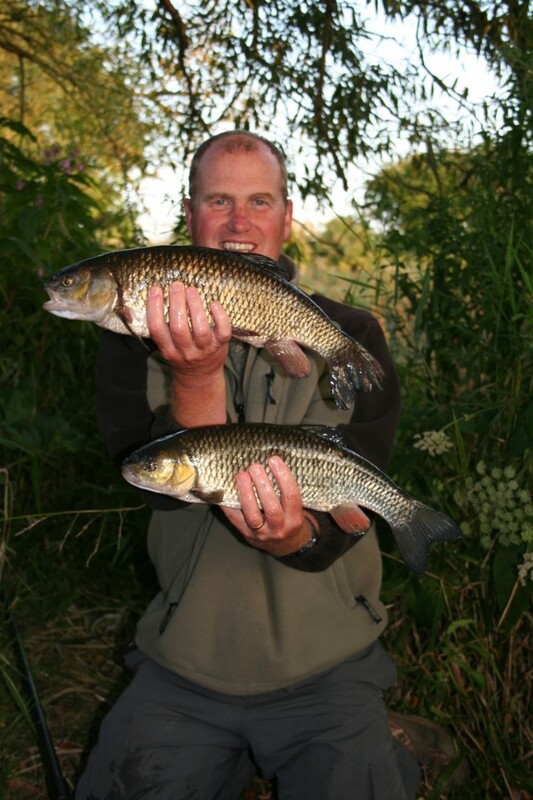 We did see a few at various other swims as we walked around, nothing big but barbel all the same. Later I met another pal Andy Cowley and we had a chat about our next month session together on Chew lake. I’ve got a boat for the 2nd day of the first week and he is my partner. Andy is a very good pike angler indeed and knows Chew inside out. He caught a few chub from a swim where there are some big fish but his largest was a disappointingly 3lbs ish. I got fed up in the swim I was fishing and decided to move on to a swim where I could catch a few chub. Time was 6pm and I caught 2 small chub which were welcomed. I’m putting in the time on this stretch for nothing. There are some very good fish but while the river is like this then it’s hard. I could use casters and hemp and this might just do the trick……..next time maybe. Ive been talking to a good friend Alan Thomas who I used to fish with on the Bristol Avon 20 years ago and he remembered when August and September was a grueler. 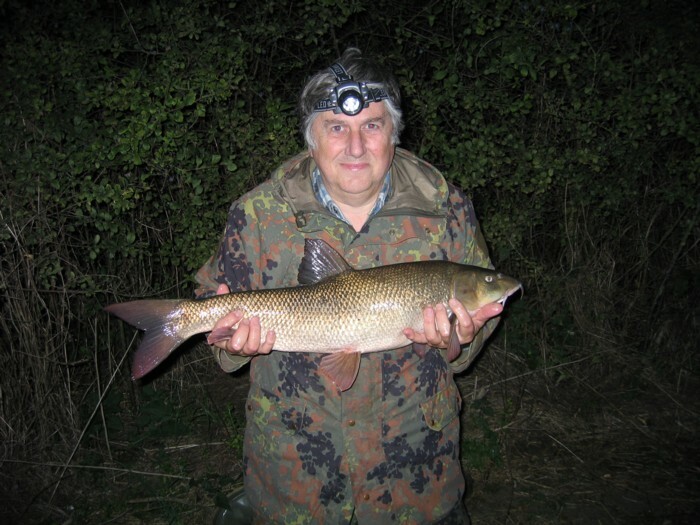 He has been having some good barbel on the River Ouse in Bedford. This entry was posted on Friday, September 2nd, 2011 at 9:58 am	and is filed under Uncategorized. You can follow any responses to this entry through the RSS 2.0 feed. Both comments and pings are currently closed.